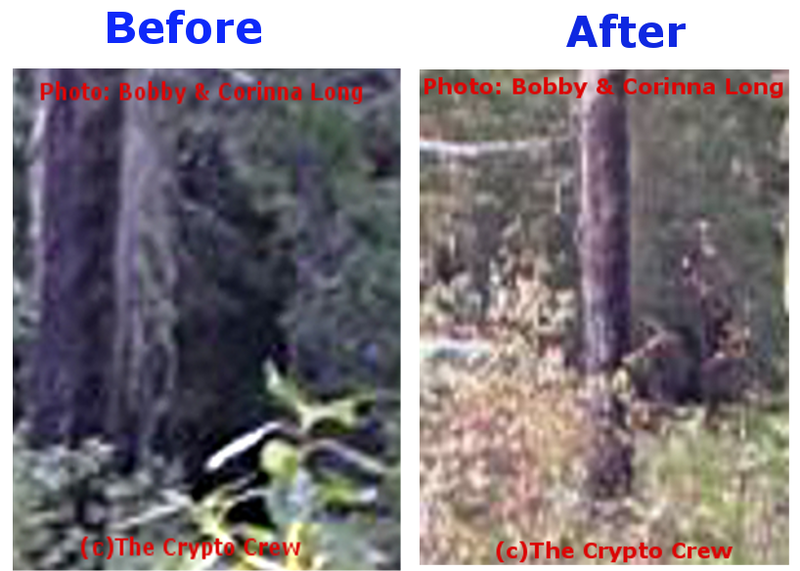 The Crypto Crew's Bobby and Corinna Long do some follow up work on the possible photo of a bigfoot in Oregon. There was nothing in the photo either time. You can clearly see the dark area in the video which clearly is the same as in the first pictures. The second pictures you took were from a completely different angle. You are correct. Other subjects in the pic besides the circled area. "Possible" was in the headline not "fact".